Just like birds depend on shared habitat, effective conservation and management of wild bird populations depends on a shared base of knowledge to inform decision-making and facilitate cooperation across organizations, jurisdictions and political boundaries. A key factor in conservation decision-making is the risk that a species will decline, become extirpated or go extinct in the near future. How we determine this affects what species we focus on and whether our collective efforts and impacts scale up or stand alone. It starts with a shared list. Despite their simplicity – and the often complex decisions behind them – lists can bring attention to species of conservation concern and help prioritize and coordinate actions designed to save them. Given their importance, the process for generating such lists should be even-handed and repeatable, and use the best available science. But imagine if each entity charged with a mission to conserve wildlife had a different process, set of information and analytical approach to determining which species warrant conservation attention? What are the chances our actions would scale up? 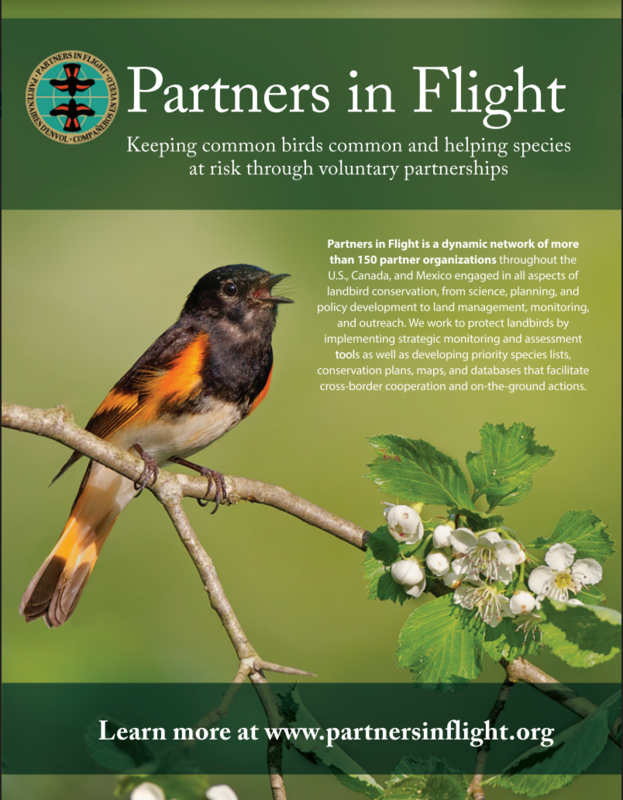 Thankfully, Partners in Flight (PIF) realized long ago that achieving their vision of helping species at risk while keeping common birds common would require a shared platform for coordinating conservation efforts across partners and spatial scales. Behind the various conservation plans that have brought sustained public-private partnerships for species like Wood Thrush, Golden-winged Warbler and others, lies a common biological framework, a peer-reviewed assessment approach and a database that has been developed and honed over the last 25 years with input from hundreds of ornithologists. Until recently however, this database, maintained by the Bird Conservancy of the Rockies since its inception, was only available for landbirds. Not anymore. Thanks to recent unanimous support from Joint Ventures and dozens of other bird conservation partners, the PIF Species Assessment Database is now all-bird…again! Not since 2004 have species other than landbirds been carried in the PIF Database. But now, as first debuted in the 2016 State of North America’s Birds report, global assessments for all shorebirds, waterbirds and waterfowl have been updated and incorporated into the database, along with all Central American bird species, into what is now the PIF Avian Conservation Assessment Database (ACAD). 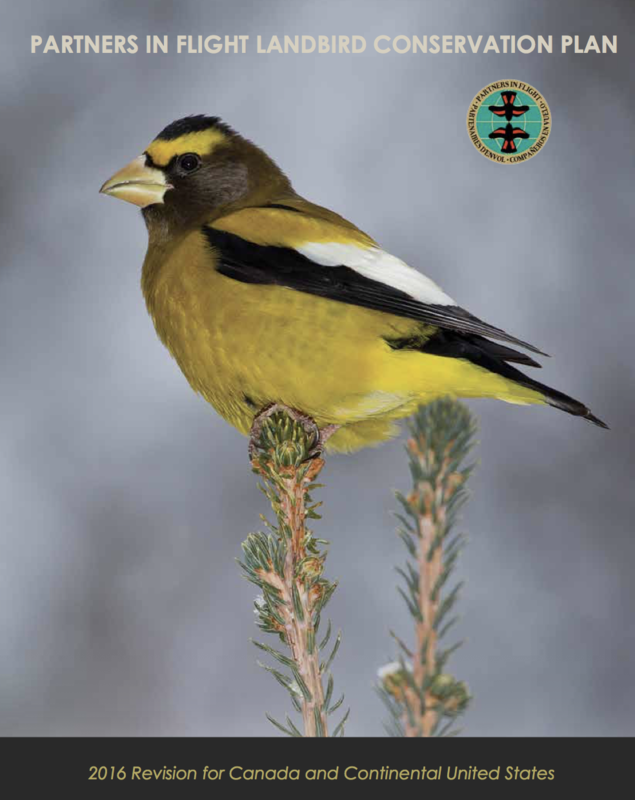 This new all-bird, all-North American database is now available through Bird Conservancy of the Rockies website http://pif.birdconservancy.org/. One-stop shopping for consistent and up-to-date assessments of all bird species is now a reality, greatly streamlining a major step in conservation planning and delivery! The ACAD hosts the latest peer-reviewed data on population size, trends, distribution, threats, and area importance, in addition to the overall conservation status, for over 1600 bird species in mainland North America from Panama to Canada. The assessment summarizes complex biological information at multiple spatial scales using a 1-5 score to ensure assessments are easily understandable, comparable and locally relevant. 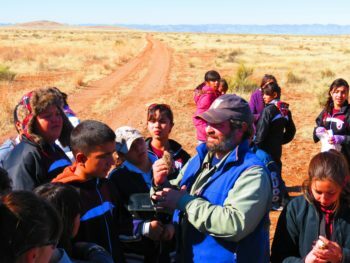 The ACAD relies heavily on large-scale, on-going avian monitoring programs, like the North American Breeding Bird Survey, and increasingly eBird – a rapidly-expanding source of data on the distribution and abundance of birds. Just as important is the growing body of knowledge and consensus among experts who through numerous workshops, meetings, webinars, and emails help fill data gaps to ensure all species are evaluated. The assessments are updated every 5 years to ensure they make use of the most recent data and knowledge available. In addition to providing scientifically-defensible lists of important species for conservation action, the ACAD is continually being used in novel ways to address bird conservation needs, from research in human dimensions to assessing impacts from human-induced avian mortality. With the expansion of the database to all birds and countries in North America, the database can also help facilitate full life cycle conservation of migratory species where and when they need it most. Although the global assessments are available now, the bird conservation community will have to wait until early 2018 before BCR-level assessments are ready for public consumption, as the addition of many new species and datasets – and limited resources – means that analyses and review take more time. By 2019, Bird Conservancy of the Rockies plans to add migratory and wintering avifaunas to the regional assessments, and within 5 years hopes to add new geographies to the ACAD, including Hawaii and the Caribbean, as well as conduct a more thorough review of seabirds. Of course, these plans hinge on continued support from various agencies, as well as the many volunteers who contribute their time and expertise to analyze data and review results. PIF and Bird Conservancy of the Rockies are forever grateful to these contributors who help keep this resource up-to-date and free to the public in support of our shared vision of collaborative bird conservation. We and the birds thank you. 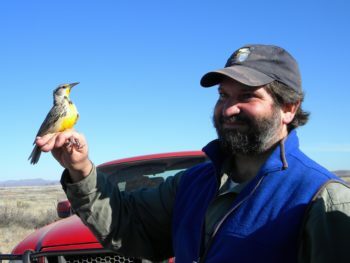 When not focusing on the Avian Conservation Assessment Database, Arvind works on conservation, stewardship and education for grassland birds and their habitats in the Chihuahuan Desert of Mexico.